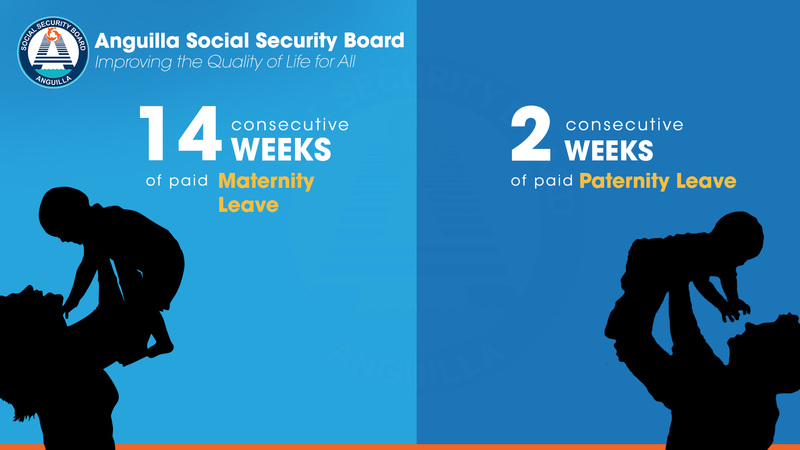 A Paternity benefit shall be paid to the father of a baby or the husband of the baby's mother, who has paid 26 weeks of contributions into the Social Security System. The Paternity allowance shall be payable for any period of 2 consecutive weeks, beginning with the date of the baby's birth and ending not later than 16 weeks from the birth of the child. The Paternity allowance is calculated using the 26 weeks or less immediately proceeding the week from which the benefit is claimed. Claims must be submitted on the required form along with a copy of the baby's birth certificate. Consequent to changes to the Labour Act, the period of Maternity allowance payable has been extended from 13 weeks to 14 weeks. All claims for Maternity allowance should therefore reflect this change.